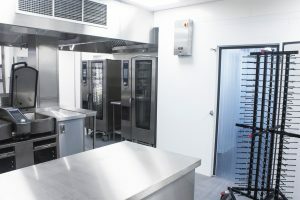 Whereas standard freezers are kept at 0°C, blast freezing, also know as shock freezing, involves freezers kept at an air temperature of -30 to -40°C. Compared to the 6-12 hours it may take for a normal freezer to freeze food, the much colder temperature in a blast freezer hastens the process, doing the job in approximately 3 hours. The much lower temperature also enables a longer shelf life. Depending on the food and ingredients stored, frozen products can be stored in a standard freezer for an average life of up to 3 months. Blast freezers on the other hand can store food for an amount of time ranging from 3 months to 18 months. 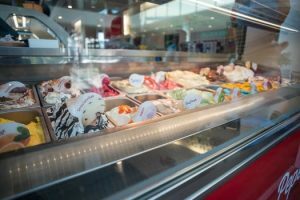 A long-running debate in restaurants storing their products in freezers is that the overall quality is reduced. This is due to the crystallisation involved in the freezing process, where the water inside freezing food crystallizes into ice. A longer freezing process results in larger ice crystals, damaging the food and negatively affecting its flavour. Blast freezing maintains the quality of the food, keeping the size of ice crystals to a minimum by keeping freezing times as low as possible, resulting in less damage to the products. As efficiently timesaving blast freezing is It isn’t recommended for blast freezing to be used domestically. The process consumes much more energy than that of standard freezing, meaning massive expenses in utilities for home users. 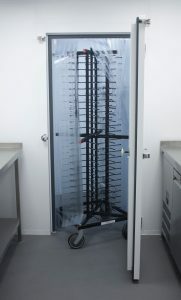 Therefore, blast freezers are usually only used for commercial purposes. Amongst all manners of top of the line catering equipment; Alliance supplies the most top qualitative models of appliances in the industry: including Foster; Genfrost, Gram & Williams. You can visit our website at www.allianceonline.co.uk to look at the best range and prices for microwaves, refrigerators, freezers, fryers & any other appliance you may need to keep your kitchen running smooth . If you would like some advice on which type of refrigerator would be best for your kitchen’s needs, our dynamic & friendly team can be reached at hello@allianceonline.co.uk or by phone at 0844 499 4300. Our regional depots all across the UK allow Alliance to provide the most exceptional, qualitative & expert service. We’ll be more than happy to help.